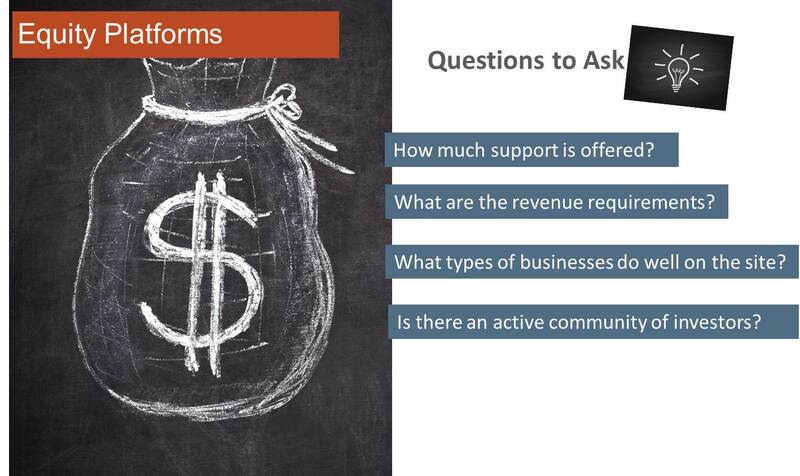 I wanted to thank small business community Manta for a great crowd funding webinar last week. If you missed it, check out the recorded webinar by clicking here. I have also transcribed the content below for readers of the blog. 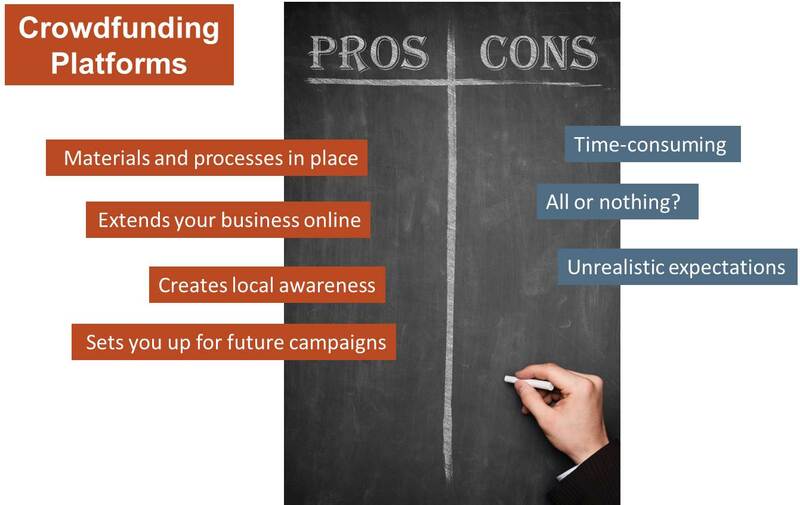 Over the 40-minute crowdfunding webinar; we covered the difference between rewards- and equity-crowdfunding, how to find the right crowdfunding platform for your campaign, the pros and cons of crowdfunding. We also covered the #1 benefit to crowdfunding…and it’s not the money. 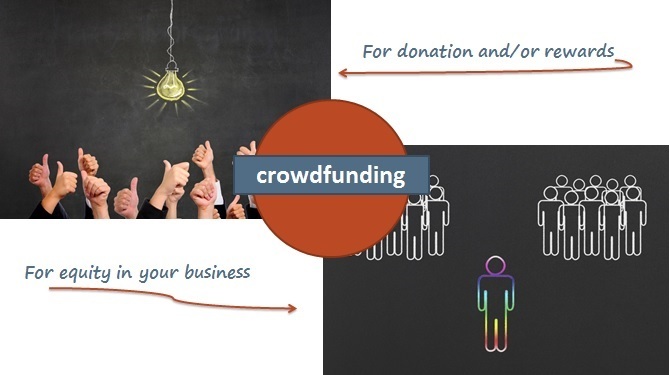 So, what is crowd funding? The simplest definition is that is just raising money from a large number of people, typically over the internet. That definition is little misleading, though, because crowd funding is about so much more than just raising money. It’s really about creating a crowd around your business. Not convinced? How about some facts: Crowd funding reached $2.7 billion in 2012, an 81% increase from the prior year and is on track to pass $10 billion in 2015. And that’s just the market size, we haven’t even gotten to the massive marketing benefits for your company. The movement has the potential to bring billions of dollars in funding to companies and projects that might otherwise never get off the ground. Crowd funding can be broken down into two distinct worlds–rewards-based crowd funding, where you offer products or services for pledged donations, and equity-crowdfunding where you sell a share ownership of the company. While equity-crowdfunding campaigns generally raise more money, rewards-based campaigns are great because you don’t have to sell a portion of the company and are basically just marketing your business. A donation or rewards based crowd funding campaign starts with a page launched on one of the websites like Kickstarter or Crowdfunder. Campaigns can be started to launch a new product, develop an older one, promote a cause, or for any number of small business needs. You’ll use traditional marketing concepts as well as new ones to bring people to your page where they’ll make a pledge to help you reach your funding goal. Once it’s live, a campaign will usually run a month or two. At the end of that time, the crowd funding platform collects the pledged money and you fulfill any rewards promised. There’s a popular misconception that crowd funding is a last resort way of raising money, asking for help if your business is in trouble. But to a lot of business owners, crowd funding is just another way to market and sell their product or services. While supporters may be called “backers” and may receive “rewards” for their support, they are really customers getting something in return for their money. In fact, a lot of repeat backers regularly scan crowd funding sites to find new and innovative products. It’s really a revolutionary new way to grow your business and it’s helping a lot of business owners get the money they need to succeed. There are literally hundreds of crowd funding platforms. I’m going to talk about three, not because they’re the best or because I recommend them, but because they have some interesting features and show that the platforms are not all cookie-cutter. Kickstarter is the largest platform in the world with more than 13 million monthly visitors and $1.5 billion pledged to campaigns. The site only offers the all-or-nothing model which means you set a funding target and a deadline. If you don’t meet your target through crowd funding then you receive nothing and your backers are not charged. Kickstarter does not allow social projects like charitable causes or social crowd funding, so you need to have some kind of rewards, deliverable or products to give out. Indiegogo is the second largest rewards-based platform but offers a little more flexibility than Kickstarter. This is really by design, Indiegogo has been active at incorporating some of the things that are not allowed or don’t quite work on the larger platform. The site gets over 9 million visitors a month so appreciably less but still a huge market. Indiegogo allows a flexible funding model where you get to keep whatever you raise, regardless of whether you hit your goal or not. Fees are higher for the flex funding at 9% but you get 5% back if you meet your goal. The platform also offers a 25% discount on platform fees to non-profit campaigns with a 501c3 designation. GoFundMe is a popular platform for those social causes so you see a lot of medical expense crowd funding, projects for travel and education. The site also operates on the flexible-funding model so you’ll have the option of keeping any pledges even if you do not reach your goal. Again, these are just a few examples of Rewards-Based Platforms. Check out the detailed list of 18 crowdfunding platforms I put together for you in the resources widget for more. Beyond any unique features offered by each platform, you’ll also want to pay attention to five differences across most sites. Is it the all-or-nothing or flexible funding model? Do they only accept rewards-based projects or can you crowdfund anything? Is there a deadline to the campaign or can it be ongoing? Many of the social cause platforms allow an ongoing campaign, really targeting those non-profit organizations that have constant funding needs. What kind of support and campaign education is offered? This is going to be more important in equity crowd funding but is also important here in rewards-based. Most platforms have a blog or an educational resource to help people understand the platform and crowd funding. Does the platform charge a percentage of what you raise or is it a monthly fee? Most platforms charge 5% of what you raise and you pay an additional 3% in payment processing, which means 8% of your crowd funding comes off the top. Monthly fees at other sites range from just under $100 up to a few hundred. Let’s talk about the pros and cons of crowd funding. The main drawback to crowd funding is that a campaign can require a lot of time to be successful. Successful campaigns usually mean at least three months of outreach and community building before the launch. After the launch, most people report between 15 to 20 hours a week working on their campaigns. Another drawback if you go with an all-or-nothing model is that you’ll receive nothing if you fail to reach your funding goal. The risk here can be reduced by setting a realistic goal and then listing stretch goals to keep visitors motivated to keep the support growing. Even with this drawback, failing to reach your goal and collecting nothing, you’re still going to see some of the great marketing benefits that we’ll be talking about in a few slides. Business owners already have a lot of the marketing material and processes that you will need for crowd funding. You already have a customer list or a group of people that are familiar with your business. You’ll also already have some marketing material and content that describes your products and you know what the selling points are so you are not going to see that large additional time commitment we see with personal campaigns. This is really why I tell business owners I talk to that, “All businesses should be crowd funding,” because it is really just an extension of your business into the online space. The pros of crowd funding really win out over the drawbacks. I promised to talk about the #1 benefit to crowd funding later and we’ll get to that but the most obvious benefit is that you don’t have to repay the money raised. You’ve raised money and “sold” a series of products or services so it’s really more like a business transaction than it is fundraising. Here’s an example of an interesting campaign that just closed last week. All Crumbs Artisan Bakery in Toledo, Ohio, is an operational business that for the last year has sold to farmers markets and wholesale to local restaurants. The owners launched their crowd funding campaign on Indiegogo to raise $10,000 to expand to a storefront retail space. As I’ve seen with a lot of business owners, Dan and Gabe struggled with the idea of asking people to help with their business. Besides offering some of their own breads and baked goods to campaign supporters, they did something a lot of crowdfunders are doing and built in a charitable cause. Within the rewards and the funding goal, they promised to deliver loaves of bread to the local Food for Thought food pantry. While the campaign didn’t reach its $10,000 goal, Dan told us the bakery raised over six thousand dollars, which will allow them to move forward with some of their build-out and donate 1,210 loaves of bread. This is my favorite slide and it is really because most crowdfunders don’t even think about the real benefits to crowdfunding. All Crumbs Bakery found it out through the thousands of visitors to its crowdfunding page, all for a local bakery that doesn’t even have a store front. I’m excited because crowdfunding is so much more than just raising money and most people don’t know that. People overlook the real benefits because they hold that singular definition that crowdfunding is just about fundraising. And it’s not. It’s about marketing. I have known crowdfunding campaigns that were launched exclusively for the marketing exposure. Think about it. Kickstarter alone gets more than 13 million visitors every month. Many of these visitors are eager to find new products, new technologies and new causes. It is a willing audience like you’ll find nowhere else. Now consider that your crowdfunding campaign is a complete page dedicated to your product and your message and it is absolutely free to put up on the site. How much do you think you would need to pay for that kind of advertising on another site with similar monthly traffic? You’ve got real potential to see some massive exposure. The Kickstarter campaign for Reading Rainbow got over 2 million page views. Another benefit to crowdfunding is the feedback and sense of community you’ll get from supporters and visitors to your page. Because crowdfunding has grown up in this environment of helping people fund their business dreams and social causes, people are extremely open and willing to communicate. You pull teeth to get feedback from your customers but crowdfunding supporters are always open to offer their opinion. It’s because crowdfunding supporters feel a level of buy-in with the campaigns they support. 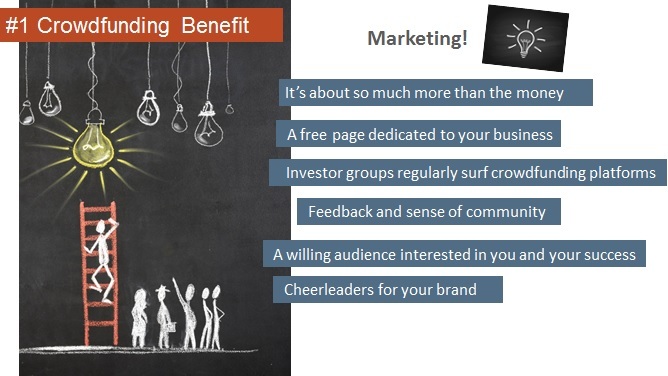 In your crowdfunding supporters, you’ll not only find lifetime customers but also lifetime cheerleaders of your brand. Now let’s move on to equity crowdfunding. It’s been around for ages, though you probably know it better as going public and selling a share of your company through stock on one of the exchanges. The only difference here is that the stock sold in equity crowdfunding is not traded on an exchange so people investing in the company are not buying and selling their shares on a regular basis. There are quite a few more regulations and forms that come with equity crowdfunding but the amounts raised are much higher. While 61% of rewards-based crowdfunding campaigns set their goal between a thousand and $10,000, equity crowdfunding campaigns generally raise hundreds of thousands and easily into the millions. The history behind equity crowdfunding is important because it’s still in transition. Equity crowdfunding, as an online phenomenon, really got started in 2012 when Title II of the JOBS Act was passed. This allowed businesses to advertise the sale of a portion of the business on the internet though it still limits actual investment to people with more than a million dollars in net worth, called accredited investors. You see, before this, companies could not put their campaigns online because everyone (even non-accredited investors) would be able to see them. The next part of the JOBS Act, called Title III, will allow anyone to invest in equity crowdfunding just like in stocks trading on the New York Stock Exchange. The stock regulators are more than two years late writing up the rules for this part of the act though so a lot of people, myself included, have kind of given up on the wait. It’s too bad because it would really open up a new type of investment to a lot of people. 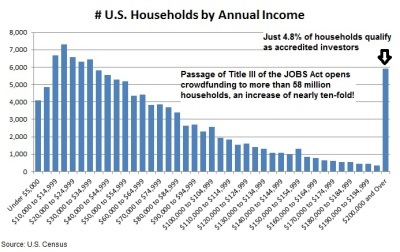 You see here in a chart of household income that less than 5% of households are now able to invest in equity crowdfunding. Open that up to everyone and you get a sense of just how big the market could become. Another interesting development is that states are starting to craft their own crowdfunding rules around the delay in federal rules. So over a dozen states and the District of Colombia now have separate laws where a state­-incorporated business can post their equity crowdfunding campaign on one of the state-specific platforms and any resident of the state can become an investor. There are just as many equity crowdfunding platforms as there are rewards-based but here are a few examples of platforms that are doing interesting things. Crowdfunder is one of the larger platforms with $194 million in deals across 21,700 companies. The site charges a flat $299 monthly fee and requires a term sheet, investor pitch deck and summary for campaigns. This is fairly standard across equity platforms. You’ll see the requirement for a lot more documentation and investor presentations. Circle-up is a platform that focuses on consumer and retail companies. Companies typically need to have a few years in business and at least $500,000 in annual sales. Another feature of Circle-up that other platforms are starting to incorporate is the inviting professional investment firms or analysts to participate on the site as experts. The idea is that investors can ‘follow’ the opinions or investments of these experts and invest alongside, usually for a small fee. As a business owner, it makes it important to reach out to investment firms and analysts that already have a following to promote your campaign. 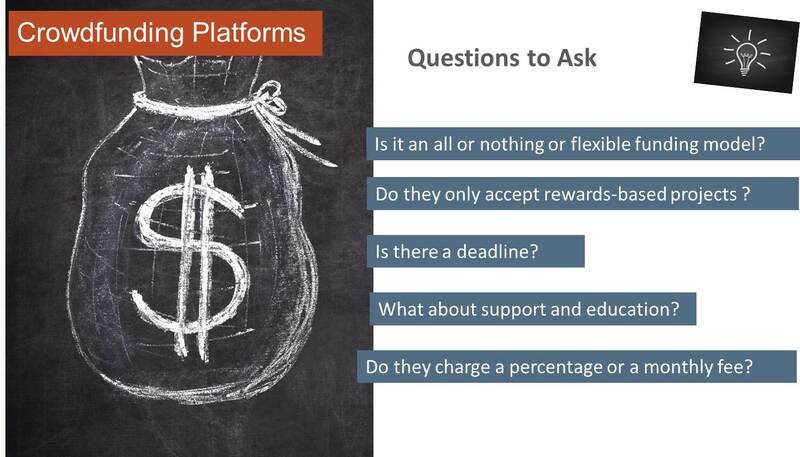 Just as with the rewards-based platforms, there are some important questions you need to ask of an equity platform to find the one that’s right for your business. 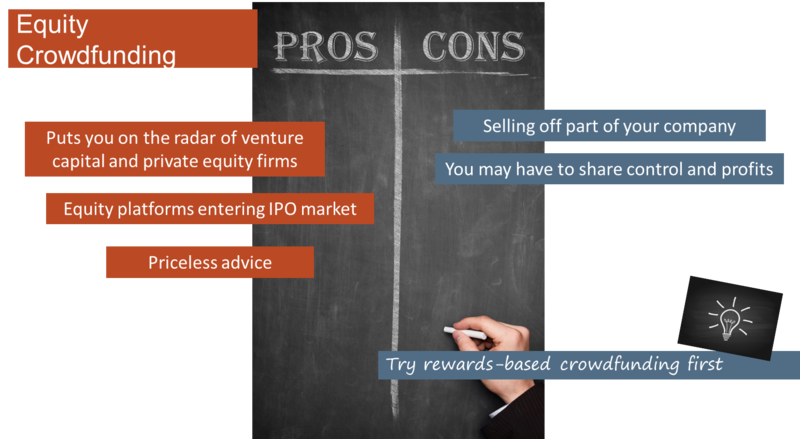 For equity crowdfunding sites, support is really the key to choosing a platform. The process of selling ownership in your company is much more detailed and documented than with rewards-based so you will need support from the platform. Revenue requirements and types of businesses that do well on the site is another important characteristic for equity platforms. Some platforms are going to attract a certain type of investor that maybe likes a certain type of business. Some require established sales and years in business while others will post start-up campaigns. The community and established investment groups on an equity site is very important as well. Finding a site that has an active community of investors that interacts with companies and with professional analysts can really help market your campaign. Money into equity crowdfunding is really taking off and there has never been a better time to raise money by taking your company public. This is the most obvious benefit from equity crowdfunding, just that it makes the process of raising a large amount of capital easier than with previous avenues. But there are some downsides to Equity Crowd funding. The most obvious drawback is that you are selling a piece of the company and the right to some of the future returns. In exchange for much larger amounts crowdfunded, you have to share control and profits in the company. On the plus side, besides the money you crowdfund, equity crowdfunding can help put you on the radar of a lot of venture capital and private equity firms. These investment firms might not even look at a company until it’s raised a few million in development funds. After being vetted by crowdfunding, you might get your foot in the door which can provide advisors that can really take your business to the next level. On the drawback of selling an ownership share in your company, I usually recommend to businesses to try out rewards-based crowdfunding first. You are likely doing a lot of the marketing activities anyway so a crowdfunding campaign is only going to take a marginal amount of additional time. Besides raising money for a project, that first campaign is going to teach you a lot about crowdfunding and will help you make the decision whether you want to try equity crowdfunding in the future. 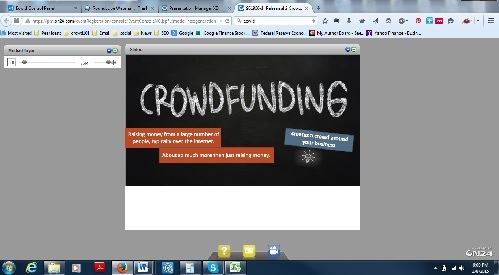 I pulled our equity crowdfunding example from the EquityNet platform. Mine Shaft Brewing is a start-up brewer of craft beers run in Park City Utah. The owner raised some money from friends and family before turning to crowdfunding to show a level of commitment and do some development before seeking equity investors. This again is typical of equity crowdfunding and private capital in general. You want to build that level of commitment and social proof before bringing in other investors. Tim just closed out his round of seed financing, crowdfunding $665,000 in February. He used that money to further develop the marketing channels and distribution for the brewer which has 60,000 barrel capacity on day one and distributors that already want a lot of the initial capacity. He started a new campaign in March to raise $9.4 million for the Series A round. Looking through the company’s profile, you get a sense for how much more detailed equity crowdfunding is compared to rewards-based. Investors can download business plans, regulatory documents and several different marketing documents. Again, I’d like to thank Manta for a great webinar and thank the 1,200 business owners that registered. I’ve tried to define this new movement in online fundraising and show how business owners can use it to take their business to the next level. If you’ve got any questions, please use the comment section below.